The redevelopment of the former Heppenstall Steel Mill into Carnegie Robotics at RIDC’s Lawrenceville Technology Center has been selected as a top 2017 impact project by NAIOP, the premiere North American commercial real estate and development association. Only three projects from all of North America were selected by NAIOP. “We are ho nored by this recognition. It is a testament to our team, but more importantly to the great partners and their catalytic projects that RIDC is uniquely able to help make happen.” Stated Donald Smith, President of RIDC. Members of the leasing, design and finance team from RIDC, Desmone Architects and the Pennsylvania Department of Community and Economic Development will be attending NAIOP’s 2017 I.Con Impact Projects March 8th-9th in Toronto, Canada to present the project. 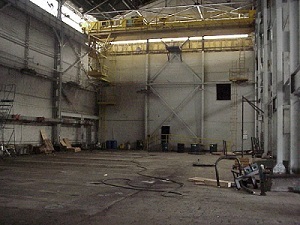 Purchased by RIDC in 2002, the Heppenstall Building or “Blue Building” had been vacant for many years when the redevelopment process began. RIDC partnered with Allegheny County and the Commonwealth of PA to remediate and prepare the site for future development. Then Carnegie Robotics, formed out the of Carnegie Mellon’s National Robotics Engineering Consortium in Lawrenceville, triggered the building renovation. “The patient investment by the state to redevelop former industrial sites continues show dividends in the City of Pittsburgh”, stated Senator Wayne Fontana. 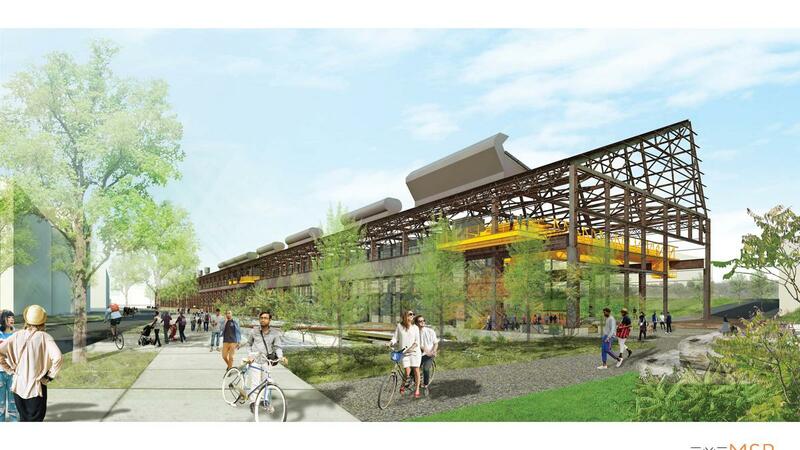 The focus on brownfield redevelopment for the burgeoning tech sector continues in Lawrenceville with the construction of the new $20 million Tech Forge Building. RIDC has developed industrial and business parks on greenfield and brownfield sites and currently has 11 parks. Today, RIDC owns over 2,800 acres of land in various industrial parks and manages over 50 buildings. There are nearly 6,000 jobs in RIDC’s tenant facilities. RIDC is also the administrator of the Foreign-Trade Zone #33.